The demands are setting up a potential tug of war between congressional Democrats and U.S. President Donald Trump’s administration that federal judges might eventually have to referee. 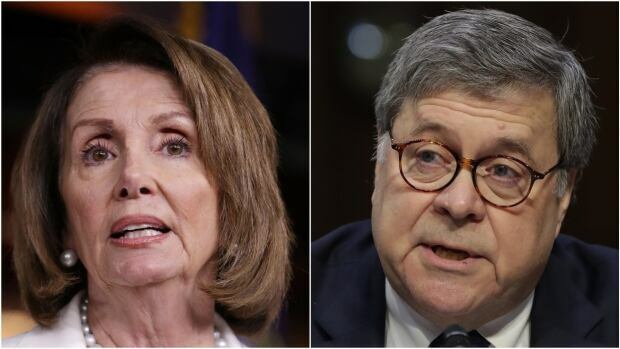 Six Democratic committee chairs wrote in a letter to Attorney General William Barr on Friday that if Mueller has any reason to believe that Trump “has engaged in criminal or other serious misconduct,” then the U.S. Justice Department should not conceal it. “The president is not above the law and the need for public faith in our democratic institutions and the rule of law must be the priority,” the chairs wrote. It’s unclear what Mueller has found related to the president, or if any of it would be damning. In his investigation of whether Trump’s campaign co-ordinated with Russia to sway the 2016 election, Mueller has already brought charges against 34 people, including six aides and advisers to the president, and three companies. House intelligence committee chair Adam Schiff told CNN on Friday that he’s willing to subpoena Mueller and Barr, if needed, to push for disclosure. That’s the course one of Nadler’s predecessors followed during Watergate, although an impeachment inquiry against Richard Nixon had already started by that point. Grand jury material from special counsel Leon Jaworski, provided through the federal judge who presided over the Watergate trials, became the road map that the House committee used to vote for articles of impeachment. Nixon resigned before the full House acted on his impeachment.